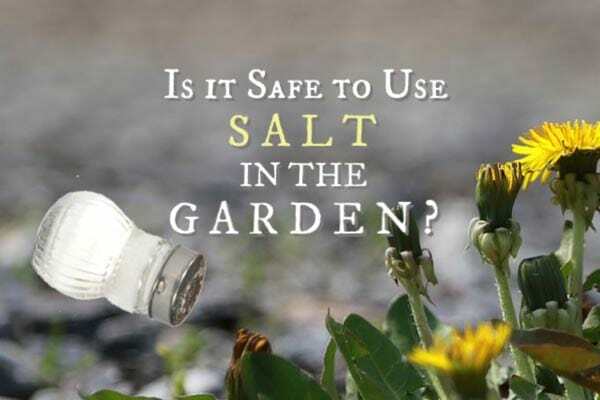 We hear a lot of advice to use salt as a weed killer, and it appears in many home garden recipes. But, does it work? And, is it good for the garden? Here’s what you need to know before pouring it on. 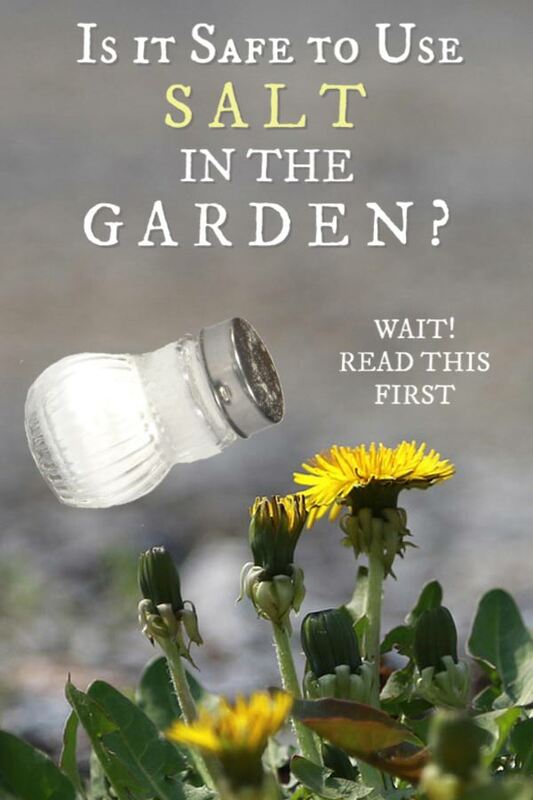 This is part of series where we explore popular garden myths we have all fallen for and fact-check common garden advice. Is Salt Good for the Garden? It seems like just about anything we find in our kitchen has been heralded as great for our garden—as herbicides, pesticides, fertilizer, or other uses. And, if they do, what are the side effects? Will they do more harm than good? Because, if you’re like me and you want to garden with nature and the environment, not against it, there’s no such thing as choices made in isolation. Treating one problem only to cause another is not really a good solution at all. One of the most popular recipes online for homemade weed killer calls for some combination of vinegar, dish soap, and salt. We’ve already discussed the effects of vinegar in the garden here and what dish soap does to plants here. At first glance, salt seems like it should be an unlikely candidate for a kitchen product that people would be eager to put in their gardens. There are stories going back thousands of years of salt being used in a vindictive way to destroy agricultural land. In addition to Bibilical stories, you may have heard the famous story of the Romans salting the farmland of Carthage. That’s more folklore than history, apparently, but we’ve long known about the toxic effects of salt. Because salt lowers the freezing point of water, it has also been used for many years to de-ice winter roads. But now, knowing the environmental damage caused as it gets into our fresh waterways, many communities are seeking alternatives. And all of that connects to why it’s questionable for home garden use as well. If you remember your highschool chemistry class, you will recall that ‘salt’ refers to many different ionic compounds. Table salt is sodium chloride. When dissolved in water, you get sodium ions and chlorine ions—and that’s what it adds to your soil. Epsom salts are magnesium sulfate, which introduces magnesium and sulfur into the soil. The salt we’re talking about is table salt. Sodium chloride. The stuff in your salt shakers and in bags of salt at the grocery store. While not part of this discussion, Epsom salts are not a good solution in the garden either. So, there’s no question that salt kills plants, including weeds. The question is whether it’s something that we should be pouring or spraying in our gardens and, ultimately, into our soil. And this is where, because it’s a kitchen product that we put on our food, there’s a perception that it’s environmentally friendly. It’s 100% natural and lets you avoid putting harmful chemicals in your garden—they say! If you suggested pouring acetic acid and sodium chloride into gardens, you’d get resistance, but vinegar and salt sound much more innocent. But salt isn’t harmless—especially the sodium ion you’d be releasing into your soil. Of course, there’s no such thing as a harmless herbicide—it is killing something, afterall—but some are more harmful than others. Sodium is a toxic metal. Very toxic to most plants. And, while vinegar will evaporate, the sodium stays around—but not necessarily where you put it. It can get washed into any other part of your garden, and on to puddles, streams, rivers, and other waterways. While a small amount of salt isn’t going to ruin your garden or the environment, if you’re using enough to kill your weeds, that adds up. And then multiply that by hundreds of millions of gardeners around the world, and it’s hard to recommend salt as environmentally-friendly or harmless. So, can salts kill weeds? Yes. Are there negative side effects? Yes. Would I use it in my garden? Nope. Are banana peels a super fertilizer in the garden? Do coffee grounds really help plants grow? Are avocado seeds safe and beneficial to eat?